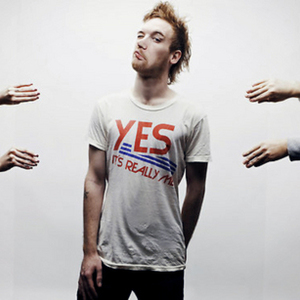 Christopher Mercer, aka Rusko was born in Leeds in 1985 to a musical family. From day one Rusko was surrounded by music. Whether it be his family's pianos, guitars, banjos and saxophones? or the heavy reggae and dub sound systems of later years in Leeds, music has always been an integral part of Rusko's life. After graduating from Leeds College of Music with a degree in Music Production, Rusko discovered the world of dubstep through the Leeds club night Subdub and a debut appearance from the Digital Mystikz. Now at 25, Rusko is only in first gear, with collaborations on the table with the likes of Switch, Diplo , Yo Majesty and Wiley, the future sure is looking bright. Already setting the radio airwaves alight with his own productions and remixes of artists like Adele and A-Trak featuring Kid Sister, Rusko is headed in the right directions. Onwards, upwards and far beyond what most producers can dream of. Rusko's debut album, O.M.G.! will be released May 4, 2010 on Mad Decent.